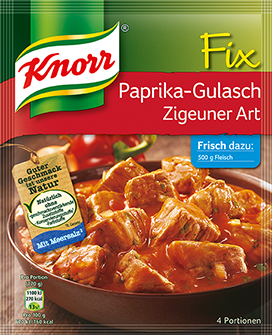 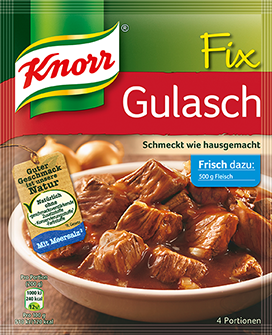 KNORR FIX FÜR GULASCH tomatoes and peppers provide your Goulash a spicy- savory touch. 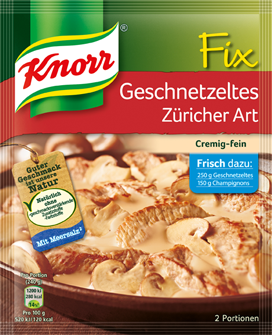 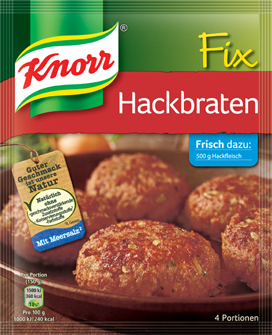 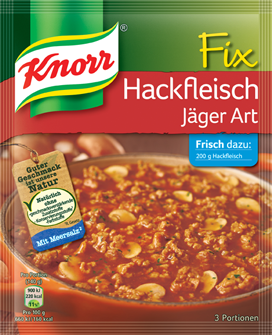 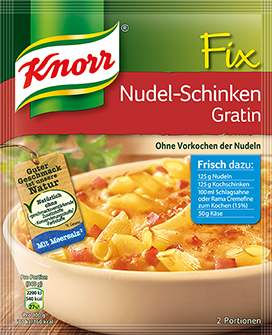 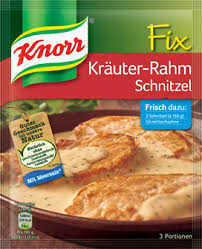 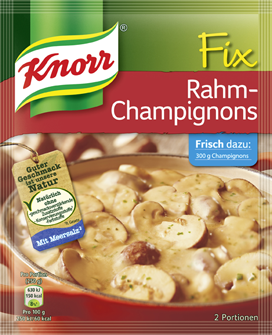 KNORR FIX FÜR NUDEL-​SCHINKEN GRATIN Enjoy the savory taste from the oven . 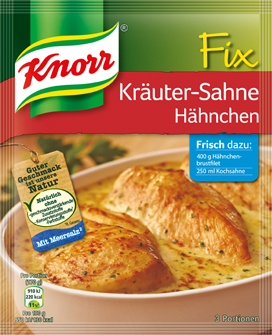 28 gram packet. 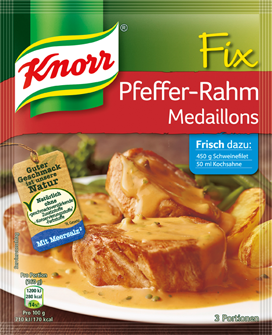 KNORR FIX FÜR PFEFFER-​RAHM MEDAILLONS Medallions with a unique sauce of pepper, onion , and parsley very creamy. 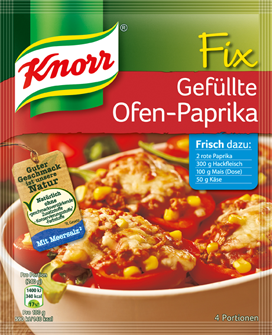 35 gram packet. 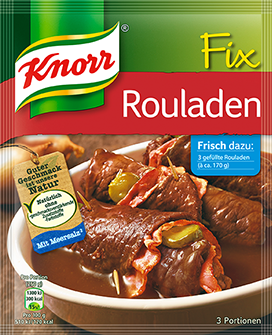 KNORR FIX FÜR ROULADEN Selected herbs and spices make this classic a juicy - spicy delicacies .